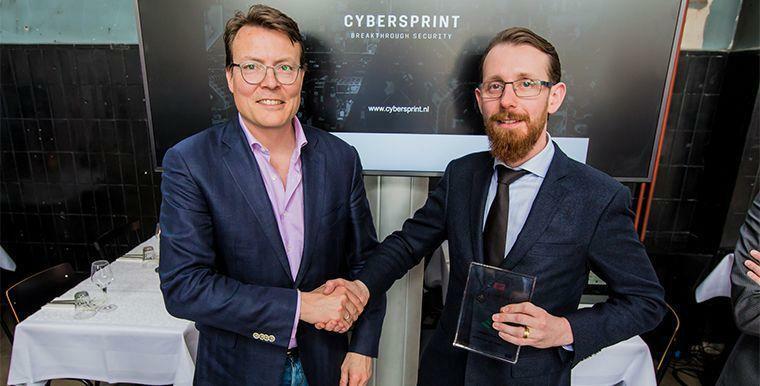 On 13 April, HSD Partner Cybersprint received funding from InnovationQuarter and two informal investors Lennard Zwart and Arthur van der Wees. This investment will enable Cybersprint to develop software and accelerate the international growth. 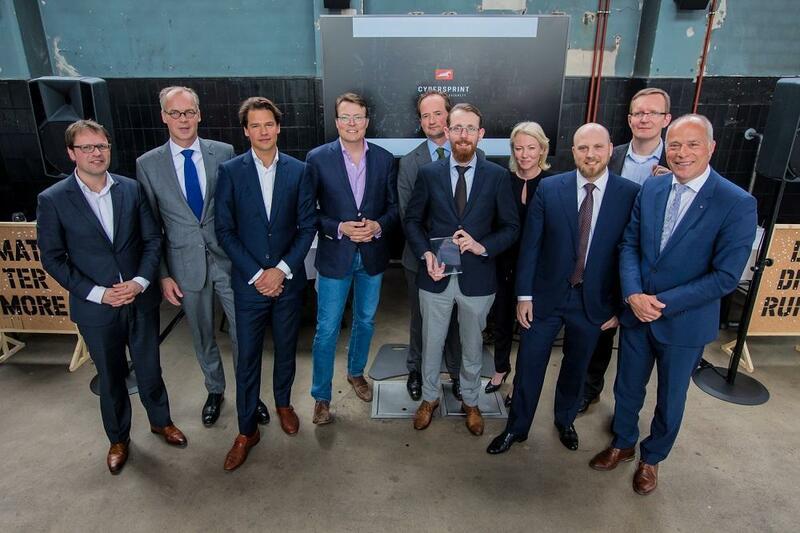 The investment was annouced by Startup Envoy Constantijn van Oranje (StartupDelta) during the Startupdelta bus tour throughout the region of South Holland. Every day hundred thousands of webpages are being hacked and new established by hackers with the aim of stealing (personal) data on a weekly basis. Hackers misuse names of reputable organisations in order to launch fake webpages and to steal data. Cybersprint, together with CEO Pieter Jansen, has developed a software solution which charts all websites related to the organisations and detects all phishing and malwarewebsites. Cybersprint helps to make the internet safer. Firstly, for its customers but in the end for all involved consumers. Outdated or forgotten servers and webpages are easy targets for criminals. The software solution of Cybersprint gives an overview of all public accessible webpages which belong to a certain organisation. As a result, the organisation is able to notify its customers immediately before other users or engines will notify. These activities are grouped in the new domain of ‘Digital Risk Monitoring’. Cybersprint is ready to make the next step forward from startup to scale up. It is my personal mission to be one step ahead of malicious hackers. In order to achieve this, we monitor and analyse the activities of cyber criminals and their latest developments. This investment will support that we can accelerate our process of notifying vulnerabilities of organisation across the world and to prevent cyber attacks. Since it accommodated at the HSD Campus in June 2016, Cybersprint has proved to be a reliable partner for international financial institutions and governments, such as the Municipality of The Hague. Customers are positive about Cybersprint because the organisation helps partners in a field which is unknown for them and alarm them in case of an unknown cyber threat. Malware, phising, stolen data and data leaks are the issues of today and it is expected that these issues will grow the upcoming years. Big parties, such as Verizon and Cisco predict a sizable increase in cyber attacks. At the same time, society becomes more digital and cyber criminals are getting more professional. The legislation concerning cyber security is becoming stricter. The potential market demand to the solutions of Cybersprint seem favourable under these conditions. The financial sector offers big opportunities for the products of Cybersprint because of its unique position in the field of cyber security. Banks manage important webpages and sensitive personal data, therefore the trust in its integrity is vital. The knowledge and experience of Cybersprint which derive from within the financial sector will be taken to other focus sectors. Francis Quint, head of InnovationQuarter Capital: “Unfortunately, there is an increasing trend in cyber attacks. With this investment in Cybersprint, InnovationQuarter contributes to the process of securing a safe digital environment. Organisations, such as Cybersprint, confirm the strong track record of the Netherlands in the field of cyber security solutions and in particular those of the region of The Hague”.